Personal fitness is almost as big as the marketing industry. When it comes to one’s body who doesn’t want a 6-pack? 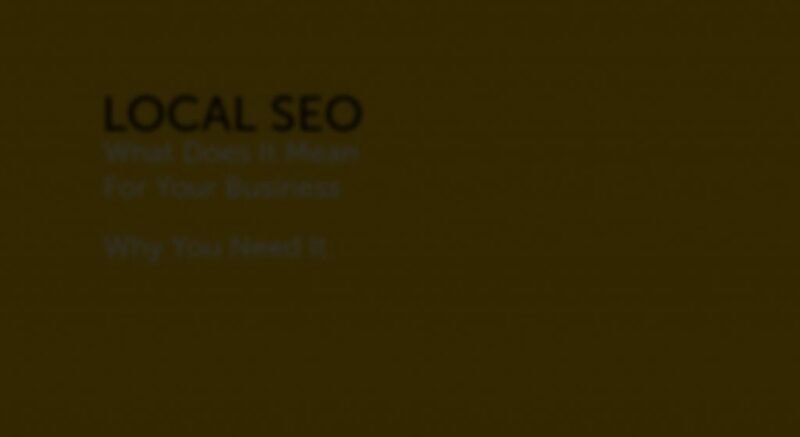 As a local business owner, we talk about 3-packs and 7-packs, and if you’ve had any form of contact with someone in the SEO business within recent months, you’ve probably been pitched on it. 1 So What Is A 3 or 7-Pack? 1.1 So why is this important? 1.2 How Do I Get Started? So What Is A 3 or 7-Pack? 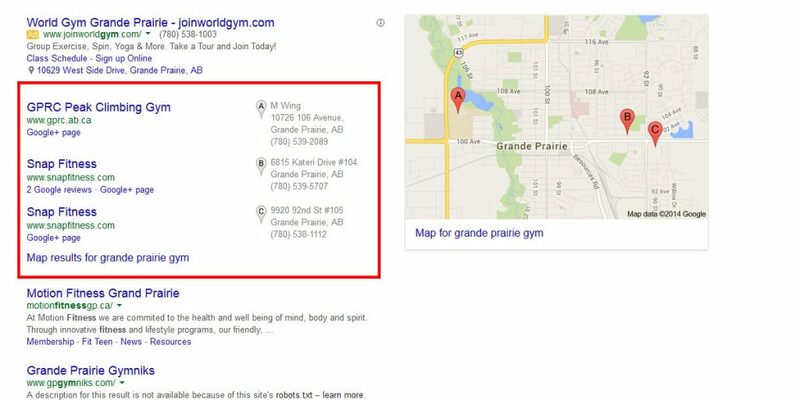 The image above shows local results for “Grande Prairie Gym” (in case you’re wondering; I live there). In local SERP (search engine results page) pages you often get provided with something similar. These results provide a list of businesses, either three or seven, to what you’re trying to find. Results include the business name, address, phone number, map location, etc. Like organic rankings, these map listings are affected by specific things in the SEO world. As I’ve mentioned in the past, we look for answers to our questions every day. Those questions can come searching for a honest opinion on a product or finding a gym in town. If your business isn’t showing up in the 7-pack or 3-pack, you should be concerned that people may be missing you. Just as important is the relevance that these packs are providing on mobile search. 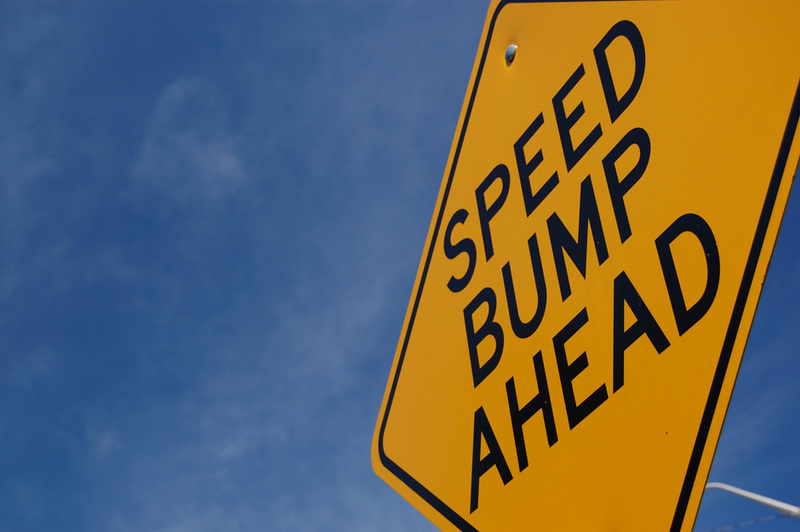 An estimated 60% of search in 2015 is coming from mobile devices like tablets and smartphones. These 7-pack searches appear differently on mobile devices being shown at the top of your requested search. What’s neat about it is with the tap of a finger you can call or add directions to your smart phones GPS providing precise directions to that business location. It may not seem like much but throw in a review system, and you could be generating hundreds of new leads a month with this simple setup. You could, of course, hire Sixo Media but if you want to take a more hands on approach, you need to follow this track. Create and claim your Google Business Page. Make sure to choose the option to be included and found on local listings. Accurate directory listings (also called citations)like YellowPages and Yelp are important. Simply put, your NAP (name, address, phone) needs to be consistent throughout the internet. If your business has moved in its existence, it will need to be properly cleaned up so the NAP on your Google Business page is consistent with all other resources linking to you. If you have a personal business website, create Schema markup and include the proper NAP on it as well. The five points mentioned are a start, in a non-competitive niche it may be all you need. I could write a post on each point (perhaps I will) but most scenarios will require a lot more work if you’re dealing in an industry like real estate, hotels, etc. Many business owners can look at this and think it’s unimportant but before you do, ask yourself if you think it’s important to be in the cities phone book? Answering yes to that question confirms that you need to be accessible in local search. Hundreds to thousands of people every day are searching not just for answers as mentioned, but they’re also looking to find contact information for local businesses. The phone book is far behind us and taking the next step to solidify your dominance in your local important is as simple as following through on the steps listed.